AIMA has invited applications for Management Aptitude Test 2018. 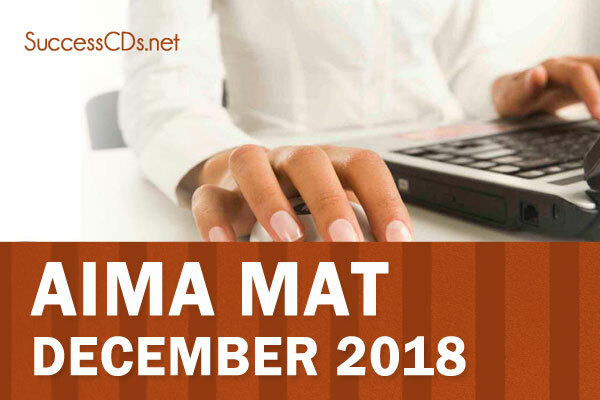 The notification for AIMA (MAT) Management Aptitude Test (December) 2018 has been issued. Candidates interested in MA December 2018 must fulfill the eligibility criteria to apply for it. In case, you clear the exam but not eligible then you will not able to take the final admission in the MA associate college. Computer Based Test: In different Time slots at specific test venues; subject to number of candidates registering for Computer Based Test. All provisionally registered candidates for PBT and/or CBT have to download their Admit Card from AIMA website link: https://mat.aima.in/dec18 as per the schedule give above.